A new pair of dry denim is sold in only one or a few measures of length. Most jeans have chainstitch hems that are created on an Union Special 43200G, to create the original ‘roping effect’. That effect is created by 3/8” folding attachment and the feeder. The fabric enters in a different speed, which folds the fabric with a little twist to create that original look. 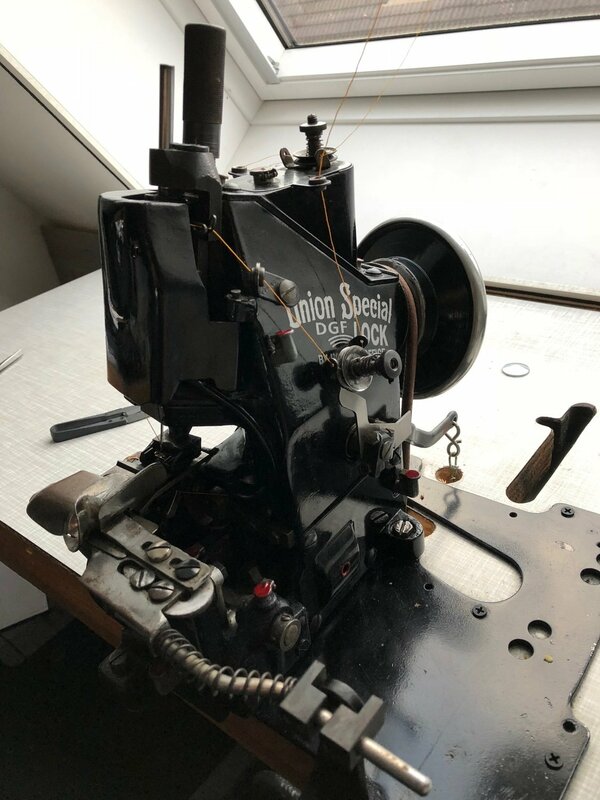 To offer you the same quality chainstitch hemming service for every denim, I will hem your favourite pair to the exact length on this beautiful industrial machine. It is possible to use the same thread that was originally used to make the hemm. If you prefer a custom job or different thread color, no problem! It is even possible to pick indigo dyed thread, that will bleed and fade over time.